28 Mar “Gone Shootin’ Gallery” Gold Tag TSR vs. Old Gear. project. This unit is beyond compare to any other pedal I’ve owned before. 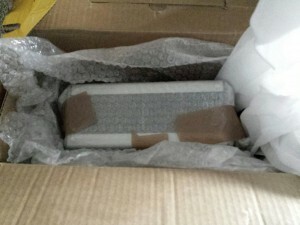 To start out I’ll begin with the unveiling of the package. 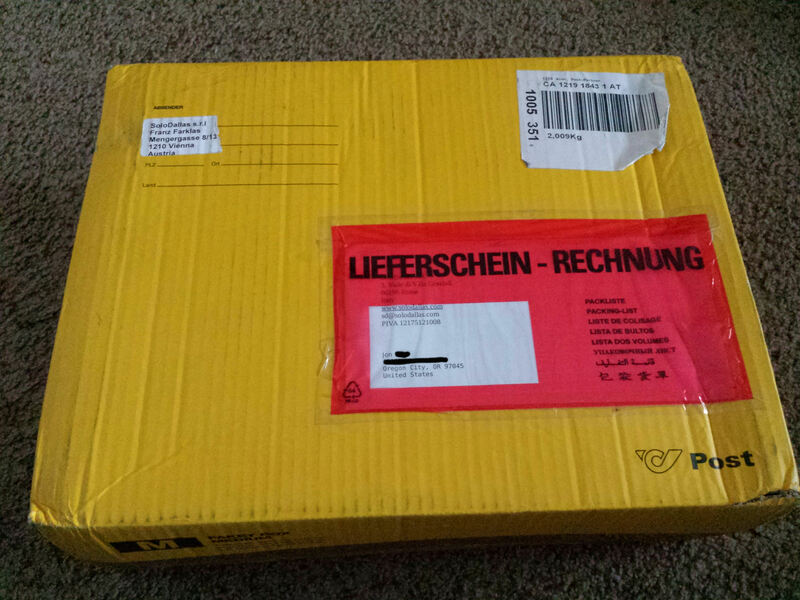 As described by others when the Yellow package arrived with, for me, a foreign language on the outside I knew precisely what was inside. The TSR that I had awaited for. For at least two long years I had waited for this and now it was here!!!! As said It was packaged like everyone else’s in a Yellow “Austrian Post” box that had seen it’s way half way across Europe, over the Atlantic ocean and crossing the US to the West Coast of Oregon. For the path it had taken it didn’t seem too worse for wear. As I began to unpackage I could see the level of safety concern for the unit that Franz had taken. Everything was wrapped in bubble wrap and/or foam wrapping. Stuffed I tight and cozy for the Looooong journey. Of course, Next on the list was to run to Radio Shack (all speed limits obeyed of course……. 😉 ) to get the plug adapter for use here in the USA. With that all said and done it was time for the party. So for my audio/Video review part of this I’ll let the sound do the talking. The audio only clip is of my old “AC/DC” set-up. It consisted of My 2203, 2 x 12 G12-65, Aracom, Dyna Comp, Tube Screamer and a Box of Rock. I had to EQ a decent amount as well as add treble and reverb to the sound to achieve what the final result is. As per usual, a good sound but none the less not good enough. 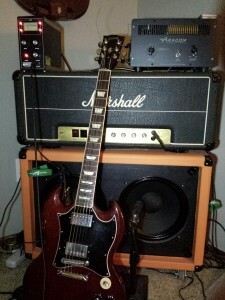 Video clip is of the Marshall, Aracom PRO-2 and the GTTSR. NO EQ only slight reverb added. Amp settings are P:0 B:5 M:4 T:5 Master:6 Pre: 4-5. As a disclaimer of sorts; the TSR is not the only change in gear between the two samples. In the audio only I’m using an Angus Sig. pickup and in the video I had installed a Manilus T-Top. Which by the way is $ well spent. Mick’s customer service is outstanding and the sound and quality of this pickup is nothing short of awesomeness!! So without further adu, adoo, adue, ado???? So there’s my take. I’m not professional by any means. Just a regular guy giving my experience. For those of you waiting for yours believe me…. it’s well worth it!!!!!! !